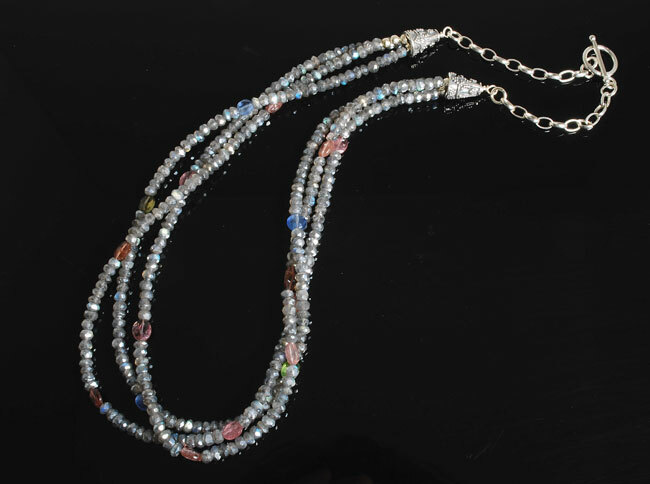 Three strands of fumed faceted labradorite glitter like diamonds and will put a subtle sparkle in whatever you wear. Warmly accented by a multitude of faceted oval shaped multi-colored tourmaline. Finely finished with stamped sterling silver cones and toggle clasp. About 18″ long.